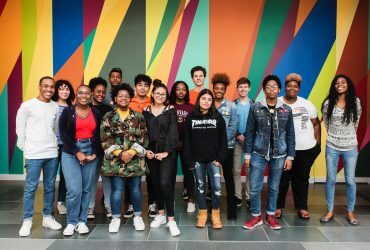 The 2018-19 Nasher Teen Council representing ten high schools across Durham with creative interests including visual arts, music, dance, theater, and spoken word. 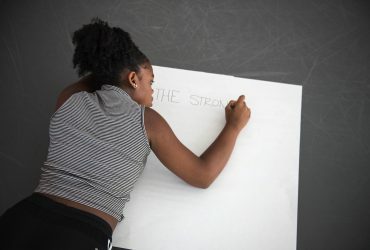 The Nasher Teen Council is a diverse group of Durham high school students who meet weekly for gallery conversations, art-making, and to connect and collaborate with each other, local artists, museum professionals, and the Durham community. 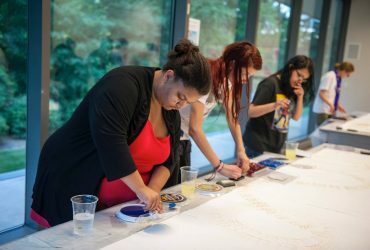 Email or call Jesse Huddleston, Program Educator for Nasher Teens, at jesse.huddleston@duke.edu or 919-684-9244 for more information.